Hyundai Motors have done something in reference to their tag line ‘New Thinking, New Possibilities’. 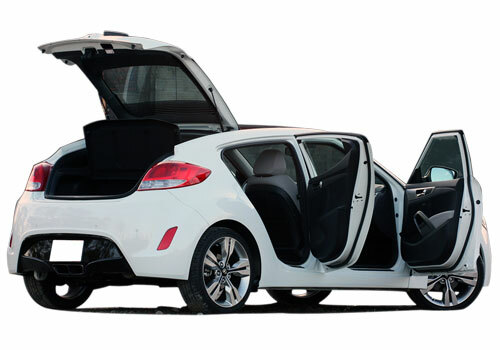 They have introduced the classy concept machine with Hyundai Veloster crossover. They recently showcased the C3 Roll Top Concept car at the Los Angeles Auto Show. Meeting the practicality and functionality, the Veloster C3 Roll Top Concept car is a perfect and innovative outcome from the auto-grand. Bestowed with tailgate functionality and amazing style of a couple, the C3 Roll Top Concept car brings you open air freedom. It has been designed by Hyundai Design North America and has got the unique canvas roof that opens on the rear side. Designed intelligently, the dual functioning of power retractable roof along with tailgate gives C3 a distinct dual personality. Exteriors of Hyundai Veloster C3 Roll Top Concept car are much alike the sibling Veloster except the changes done of mirror caps, rear wheels and entirely fresh white outfit. The Hyundai Design North America team has given its level best to make it a perfect urban concept machine. In fact, the class apart rear reflector bezels, upfront flat red mirror, flat front black wheels, 18 inches alloy wheels, large circular exhausts, diffuser vents, LED accents, red reflectors and smoked tail lamps gives it a complete fresh and symmetric appearance. Hyundai Veloster C3 Concept machine is powered by a 1.6 Liter turbocharged GDI 4-cylinder petrol in-line that churns maximum power of 201 Hp at 6,000 rpm and maximum torque of 195 lb-ft at 1,750 – 4,500 rpm. The engine uses its twin-scroll turbocharging capability that along with GDI system produces efficient power. This concept pull-man is undoubtedly very practical and stylish. We would certainly expect from the auto-maker, Hyundai Motors to make it available for sale soon in the auto-markets. Wow! 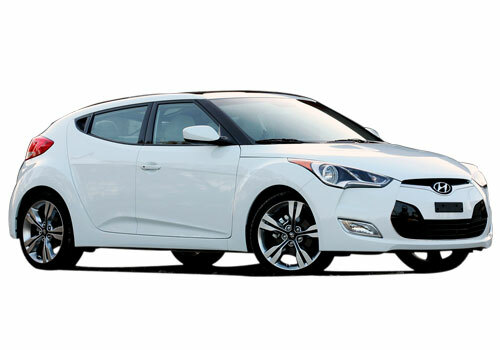 Hyundai Veloster is very nice crossover it has direct competition to BMW, Mercedes and Audi crossovers.